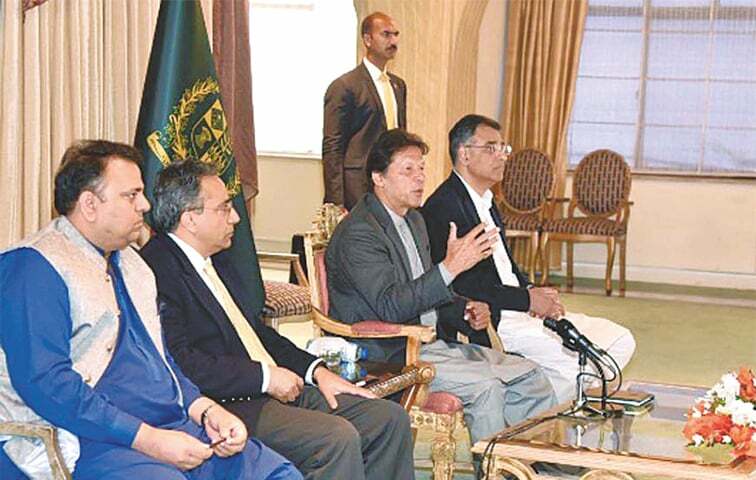 ISLAMABAD: Prime Minister Imran Khan revealed on Monday that he had cancelled his scheduled meeting with the Taliban in Islamabad due to ‘concerns’ expressed by the Afghan government. He said shadows of war were still hovering over Pakistan and India as Prime Minister Narendra Modi’s administration could go for another misadventure before general elections in the neighbouring country. The prime minister said Pakistan was likely to hit “big” offshore oil reserves near Karachi which would be enough to meet the country’s requirement and save over $12 billion annually on account of oil import bill. “My meeting with the Taliban was scheduled but it was cancelled due to concerns shown by the Afghan government,” Mr Khan said while talking to a group of media persons at the Prime Minister Office. 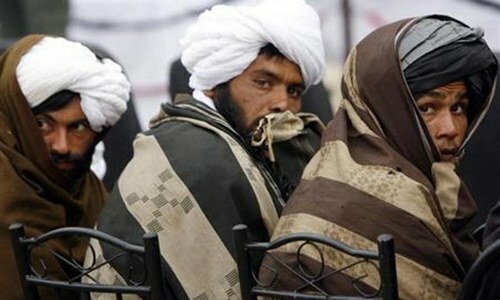 However, he did not elaborate when and with which Taliban representatives his meeting had been fixed. Media reports had suggested that after a recent round of talks with the United States in Qatar, the Taliban had called off a planned meeting in Pakistan with a plea that most of the members of their negotiating team were unable to travel because of sanctions by the US and United Nations. A statement in this regard was issued on Feb 17 — a day before the militant group was scheduled to arrive in Islamabad to meet Prime Minister Khan and possibly US officials. It did not provide further details. He said Indian Prime Minister Modi was trying to cash in on anti-Pakistan narrative during his election campaign. He said the government was spending $12bn annually on import of oil and once the local reserves were dug out that huge amount would be saved. Urging the nation to pray for big recovery, the prime minister said he would soon give “good” news to the people. Responding to a question about the bad health of former prime minister Nawaz Sharif, PM Khan said there was no law in the country which permitted him to allow the Pakistan Muslim League (PML-N) supreme leader to get medical treatment abroad. “Should we change the law to allow him [Mr Sharif] to get his medical treatment abroad? Should we allow all 150,000 convicts to get their medical treatment in foreign countries? This is mere blackmailing,” he added. He said the government was providing best facilities to Mr Sharif for his treatment in the country. “Nawaz Sharif remained prime minister of the country three times but he could not give such a single hospital where he can get his medical treatment. He [Mr Sharif] increased his factories from one to 30 but could not establish a hospital,” he added. Prime Minister Khan said former finance minister Ishaq Dar’s father used to sell bicycles while he [Mr Dar] was getting his treatment in London. Answering a question about Pakistan Peoples Party chairman Bilawal Bhutto-Zardari, he said the PPP leader was afraid of his own accountability by the National Accountability Bureau (NAB). He said PPP leaders were involved in money laundering through fake bank accounts. “Air tickets of model Ayan Ali and Bilawal were purchased from the same bank account,” he claimed. The prime minister said NAB cases against “save-democracy” political parties were not made in the Pakistan Tehreek-i-Insaf (PTI) government. “They [PPP and PML-N] appointed NAB chairman, not us,” he added. 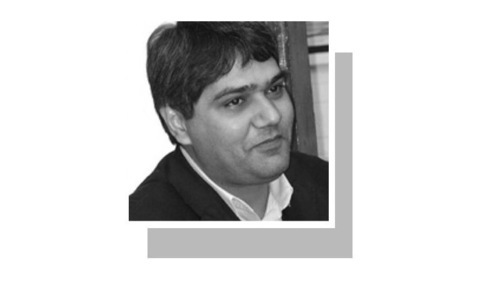 He said NAB was not subordinate to the government but the anti-graft watchdog should lay its hands on big fish instead of indulging in petty cases. He said the PTI government had taken steps to stop money laundering, adding that foreign reserves were increasing and investors were coming to Pakistan. Lauding the government’s foreign policy, he said it was on the right direction. “Earlier, the US was asking us to do more but now it is praising us and acknowledges that there will be no peace in Afghanistan without Pakistan,” he added. During the media talk, the prime minister was accompanied by Information Minister Fawad Chaudhry, Finance Minister Asad Umer and Chairman of Task Force on Energy Sector Reforms Nadeem Babar. Speaking on the occasion, Mr Umer said that progress had been made in talks with the International Monetary Fund (IMF) and now both sides were closer to a deal. He claimed that the government had successfully cut down the country’s imports to 72 per cent and managed to handle the economic crisis to some extent. Nadeem Babar gave a briefing on the position of natural gas and regretted that over the past five years, not even a single licence was issued to explore gas. He said the local fields were facing a 5-7pc decline in production and the government had tendered 10 new blocks of which six were processed, while 30 more were under way. Sir, the puppet Kabul-palace government will never be grateful, a trait they share with our eastern neighbour. A very good briefing indeed. We are with our PM. Good bless Pakistan. No worries, Kabul government won't be around too much longer. Their Masters and occupiers are about to bolt for the exit door. Imran Khan rightly pointed out! All talks and no work. this is how Imran Khan government is working. They have not fullfilled a single promise they made to get votes. gas, electricity, water everything is sky high. “Air tickets of model Ayan Ali and Bilawal were purchased from the same bank account,” . What further proof is the Govt waiting for to indict the Zardari clan? How come there is no more news about the custom officer who arrested Ayan and was later killed? I bet some people will find something negative about the responses PM gave. 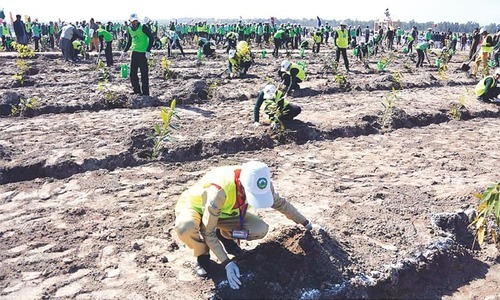 For once, our PM is actually doing something about the county other than building highways and metro buses and beating their chests. Ishaq Dar worked hard to become rich but IK thinks otherwise. No sir unless you have proof he will remain honest and trustworthy of Pakistani people. Who cares about this Afghan (Indian) government. Please do your job to bring peace. Thanks. We need a sincere leader right now who is not corrupt and has no self interest. PM Imran Khan's briefing appears credible. Nawaz Sharif was offered treatment in any hospital of his choice, but he is insisting on going abroad, and hasn't yet accepted this extraordinary offer. Are all the hospitals in Pakistan third rate? He should know better, he was the Prime Minister three times. IK is the best thing that has happened to Pakistan. Thanks for saving Pakistan. @Fastrack, We talking with Taliban not with Afghan govt. We have complete faith in the leadership of Imran khan. Pakistan is blessed with everything. Now it has been blessed with clean and honest leadership and we are marching towards progess and development and we will be poverty free soon. Afghans are rightly afraid that if Talibans would be allowed to rule the country again, they will bring their fundamentalist form of government which no one wants to live under in this day and age. 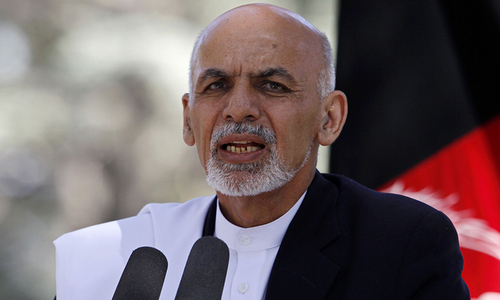 Afghan government has been given all the support but they fail to govern the country effectively and intelligently. They have almost missed the boat now. Having said that Taliban must disarm completely and US should remain in a Afghanistan for at least half a decade to ensure the transition is smooth and peaceful. Excellent work so far by PTI led government. Keep up the good work. PM is working hard to revitalise the ailing economy and put the country on the track which leads the nation towards prosperity and self - reliant. 30 years and Nawaz Sharif and Zardari failed to make a single hospital where him or his wife could be treated. Sad. Dont just sit and count on oil. Take 200 million strong, smart and driven citizens and make them gold by giving them education, security, and merit based landscape so Pakistan can return to 50-60s growth rates within next 10 years. @Smart Observer, he was referring to foul cry from Bilawal. @Coldwar, Who do you propose to rule Afghanistan in the 5 years that you suggested US military should remain when its evident the current Afghan regime has totally failed? @Fastrack, Why should it be grateful? Or India? Or any country, for that matter? PM IK was meeting future Afghan government. He did not interfere in Afghan affairs he was talking about Pakistan. Though all the governments (PPP, PML & Musharraf's League) of the past knew all about the oil resources in Sindh and Balochistan, and yet did not tape them!